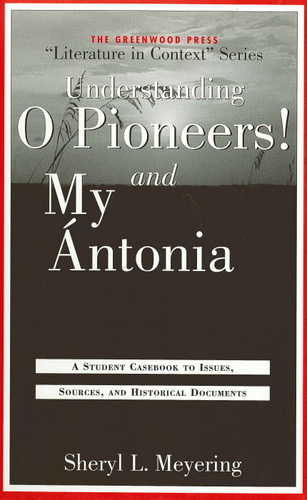 Willa Cather's novels O Pioneers! and My Antonia are at once accurate representations of life on the midwestern prairies in the era of their first settlement and continuations of a literary tradition that stretches back to Virgil and other classical writers who celebrated nature and pondered humanity's place within it. Both novels are given full literary treatment here with close examination of the timeless themes of love, loss, the transience of youth, and the influence of the land itself on people's lives. For readers who want to go beyond the subjects of these novels, to enter the places and eras Cather immortalized in her writing, this casebook also situates the two novels within their historical contexts with a rich array of documentation. Letters and journals from the late 1800s and early 1900s help readers understand the hardships and rewards of everyday life on the plains. Poignant personal accounts as well as government reports document the special challenges women and immigrants faced on the frontier. Readers will also be able to explore how the issues in Cather's novels continue to shape American culture today. Reports from congressional hearings and personal interviews give varied perspectives on the disappearance of the family farm and an USDA timeline chronicles the causes and ongoing ramifications of this important issue. Students and their teachers will find a wealth of valuable information for their classroom discussions and research projects in this interdisciplinary casebook. Each topic chapter offers ideas for oral and written exploration as well as lists of further suggested readings. Students will not only gain a better understanding of Cather's novels here, but will be able to make connections between their thematic concerns and contemporary social issues.